Museums are the passports of each country’s history. Indeed, without them, it would be impossible to verify truths on the origins of any civilizations. Albania’s own National Museum of History is located at the heart center of the capital. In its beautifully arranged pavilions, you can find several of the national masterpieces, and sources of pride for all Albanians. 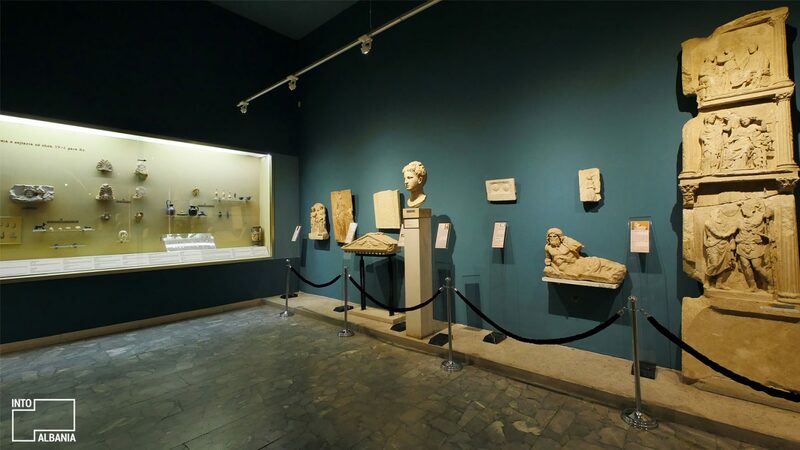 These works are beautiful and masterfully preserved, ranking Albania among those countries with a rich, ancient historical and cultural heritage. 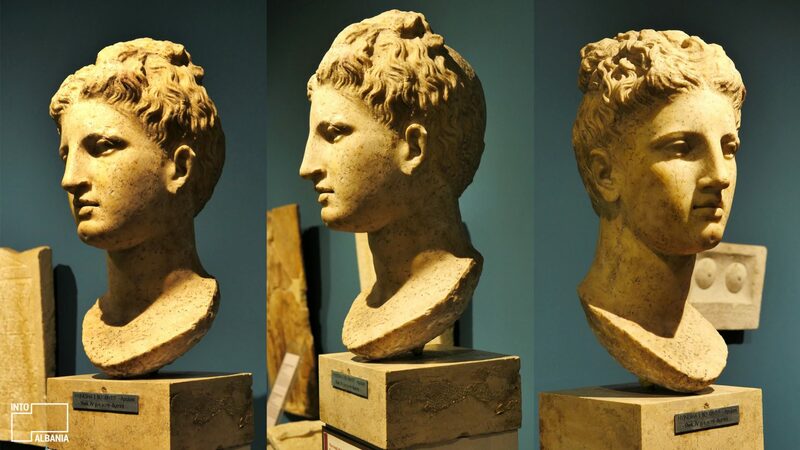 Hyji Apolon, best known as the Dea of Butrint, is a rare masterpiece that accurately represents ancient Albanian sculpture. 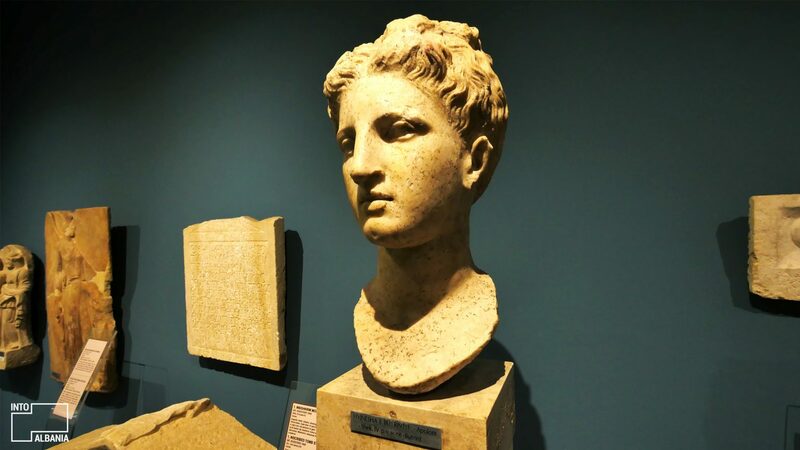 Hence, you can see the image of this beautiful bust endlessly multiplied in publications and postcards! It has swiftly become one of the most recognized symbols of the country’s ancient heritage. 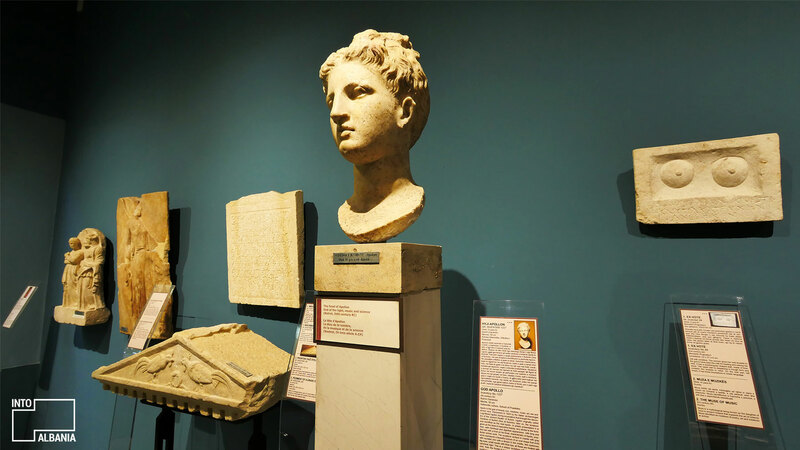 It was discovered in 1928 by the Italian archaeologist Luigi Maria Ugolini during the same excavations that led to the discovery of the ancient Butrint Amphitheater, in the southernmost point of Albania. 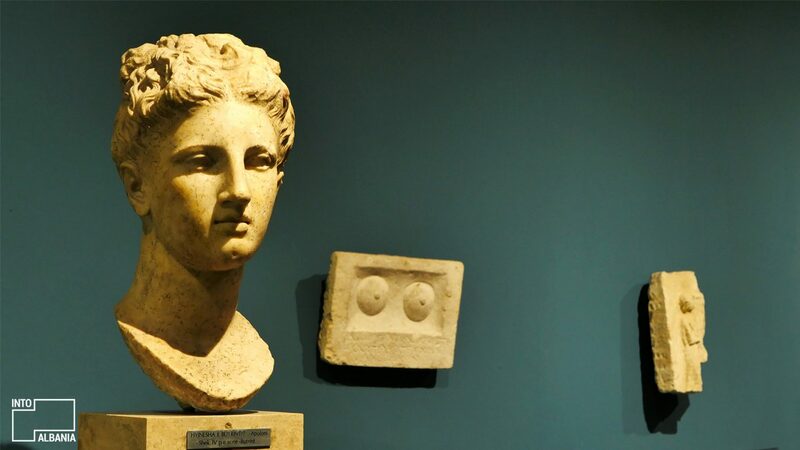 The bust belongs to the 4th century B.C and its name comes from the god Apollo. What makes it fascinating is that it celebrates both male and female beauty. From the front, it resembles a female while the profile suggests the face of a male. The oval-shaped marble sculpture exhibits a rounded, dimpled chin, large passionate eyes, a small mouth and full lips. This rare complex sculpture exemplifies the elegant art that celebrates the half-deity, half-human figure.